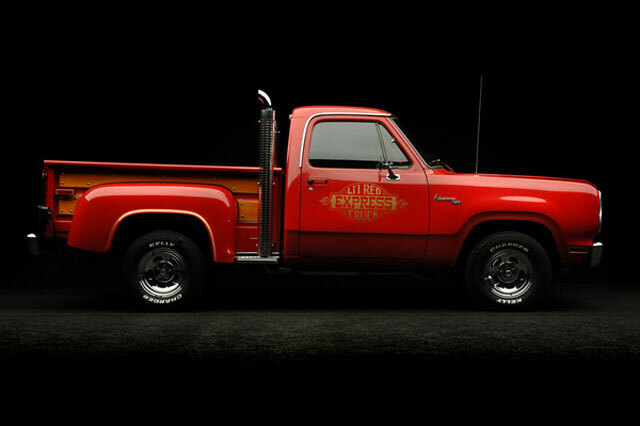 The L'il Red Express Truck was produced during the height of the CB/Trucker obsession that held America firmly in it's thrall in the Late 1970's. Although I generally get most cars, this trucks target audience remains a mystery. I understand the stack exhaust, it was a popular modification back then and was nothing unusual. But what's up with the old timey script and logo ? Who is at the intersection in that Venn diagram? Wilfred Brimley ? John Denver? General Store owners? Cooter from Dukes of Hazard? I just don't get it. In any case, the very next year saw Chrysler's first brush with bankruptcy. Coincidence? I think not. >Free Bonus Puzzler: This is not the weirdest 1978 Chrysler truck, for my money, that the honor is bestowed upon the black and gold Dodge "Warlock". Seriously look it up, WTF? was it the coke talking?